As I always say, there are quintessentially Detroit moments; usually musical moments, as Detroit is a musical town. Naturally, I have not been present during all of these happenings, but the ones for which I have been privileged to bear witness, I am grateful that “something” told me to get there, and stick around. The D in the house….. Such it is for this event, held at the Detroit Institute of Arts – the debut party for a new song by Allee Willis, called “The D.” She is the writer of huge hit songs by Earth Wind and Fire, the Pointer Sisters, Patti Labelle; the theme song from the TV show Friends, the songs of the musical The Color Purple. Allee lived on the West Side of Detroit when it was a primarily Jewish neighborhood. She grew up in the nexus of the transition from a majority white to a majority black city, and, yet – because of some rare anointing – she did not fall prey to the racial fear and animus that permeated the town. In a world of Black radio stations, DJs (among them, the legendary Martha Jean the Queen), and Motown, she absorbed and loved the Black music and culture growing around her – much to the ire of her father and others. Allee’s film-maker and model Tim.. Eventually she went to live in LA, and lived as a songwriter; she met Earth Wind and Fire and the rest is music history. “The D” is a culmination of the last five years of planning, recording, filming and animating the sounds and visuals that Allee encountered and curated in Detroit. Choirs, schools and folks all over the city turned out to be a part of the song. Over 5,000 people are featured in the final recording and video – the largest number on a record, ever. Allee is a veteran party thrower, and she threw down at this one, having rented the entire two main halls of the DIA – the Grand Hall and the Diego Rivera gallery. 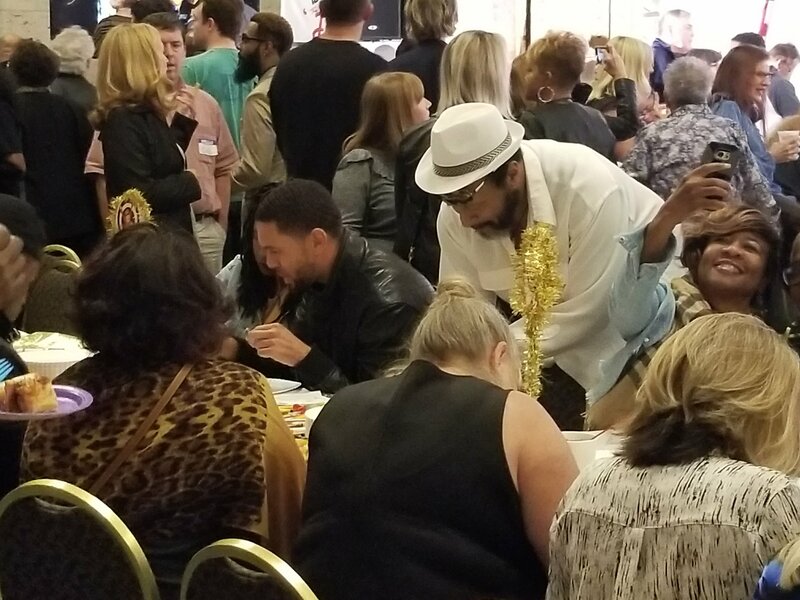 It was a HUGE event, that served the hundreds of people who were there a taste of one of her favorite foods – a sample of the Boogaloo Sandwhich, well known by many ol’ school West Side Detroiters. The food was catered by the folks at a food joint on the corner of Wyoming and Curtis, where, back in the day, she used to take the bus from Mumford, and has, in recent years, during her visit to her hometown, befriended the new owner, Chef Greg – who created the famous Boogaloo sandwich anew. There was sho’ nuff, Dee-troit Kool-aid on hand – of the ol’ school, dangerously delish, diabetically suga-sweet style – and bite sized sweet peach cobbler. 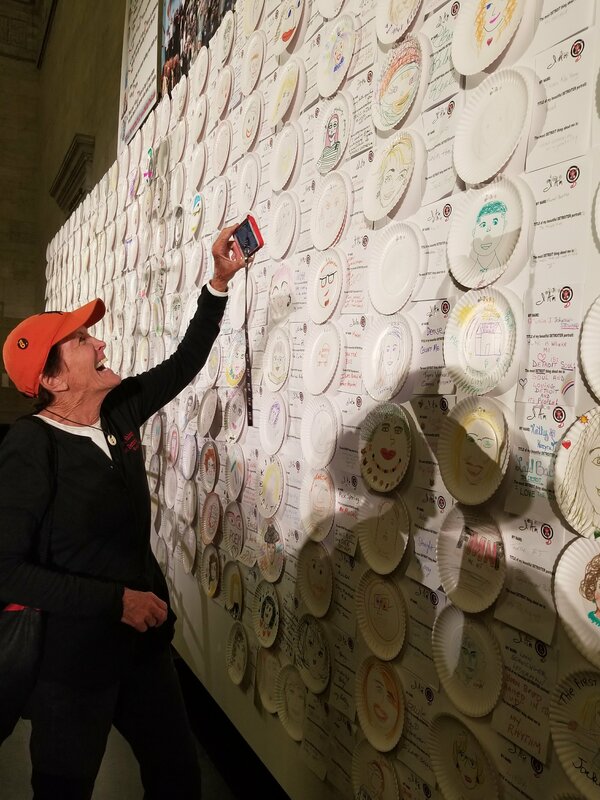 All the guests, at her exhorting, sat down with crayons and paper plates and COLORED portraits of ourselves, for installation on the wall (which will be on permanent exhibit, somewhere at the DIA). The image of some of the coolest, best-dressed folks I know, hunkered down with crayons coloring, is a sight I’ll not soon forget. Allee chose to have Detroiters create drawings of themselves – very telling – for the very act of doing so is an uncommon act of affirmation of self; and the seriousness with which so many set about their assignment was funny – and poignant – especially for those of us whose presence in the city is often ignored. 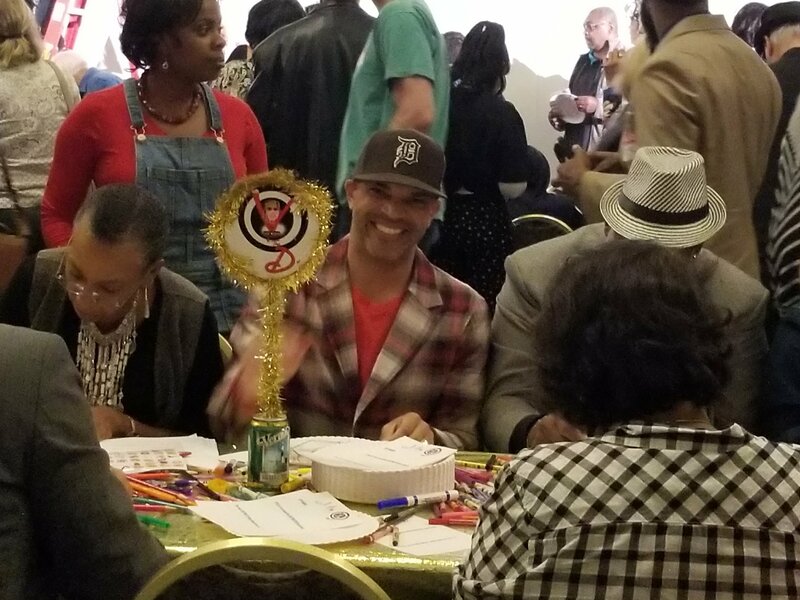 But we who took crayon in hand were as determined as first graders to do our best, and it was amazing to have such simple, childlike, multi-colored fun with one another; a metaphor perhaps – for days when we colored together as kids, or foretaste of a Detroit to come. There are many galas and soires at the DIA, that fill the rooms with tony, bejeweled revelers (and I love ‘em); but this time, one could not help but note the real diversity of the crowd – an assemblage of business and civic leaders, artists, singers, kids, suburbanites, everyday Detroiters, Bert’s Warehouse and Motown stars. An entire contingent from the venerable artists group, the Detroit Breakfast Club, arrived. The event was free for anyone who wanted to come, and the hundreds there were a testament to not only Allee’s project, but the vision of the new Director of the DIA, Salvador Salort-Pons, who wants to open up the museum “to the people” of this town. 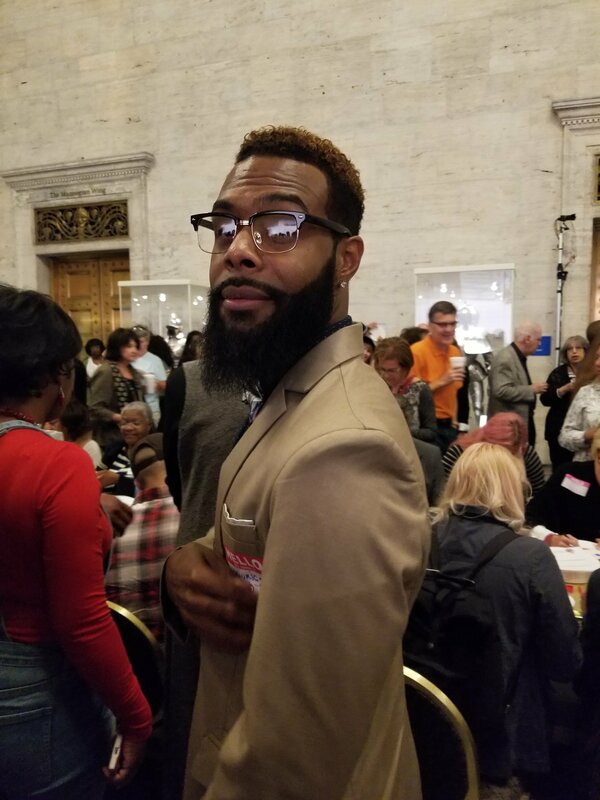 The debut event at the DIA was one of the most amazing, moving events that I’ve ever attended – of a secular kind – for I’ve surely gone to some spectacular church gatherings in my time. But this was surely spiritual in its own right; many of us choked up a bit as we arrived. For it was one of those rare times in Detroit – the real Detroit, not the “this is how we see Detroit” Detroit, not the “new Detroit, devoid of Detroiters” Detroit, not the “it was really diverse with 10% Black people” Detroit. This was Detroit in all of its “Black people and Other People of Color and Cool White Folks” Detroit glory, of the days that made Detroit the Detroit beloved the world over, for our cars and style and people and music. Eminent Detroiter – Emily Gail -“Say Nice Things About Detroit” and Marsha Music, laugh it up at Allee Willis’ soire. Allee had her Dj’s play the ol’ school Motown and soul music that defined Detroit as a musical town (and of course, they played some Earth Wind and Fire). 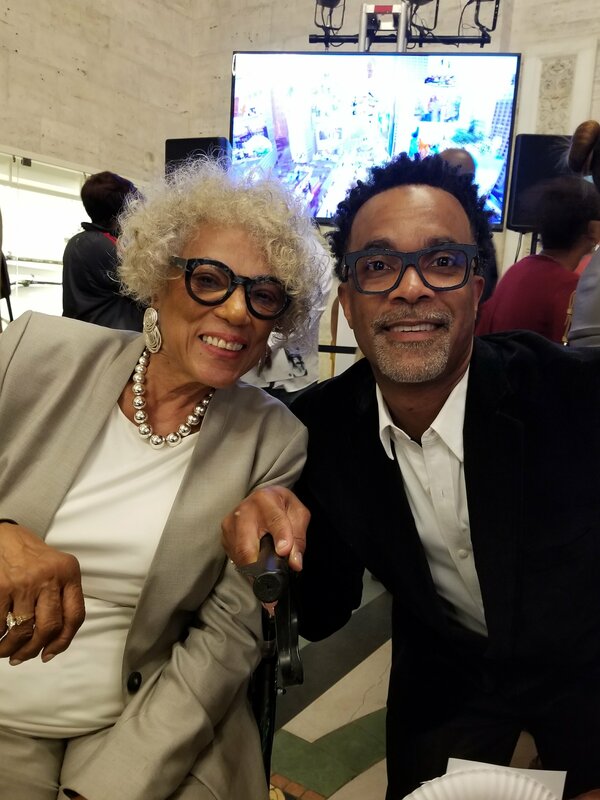 The event was a true reflection of the real Detroit – that is even today over 80% Black – and bespeaks the real love for the city by this genius woman, a Detroit musical savant. 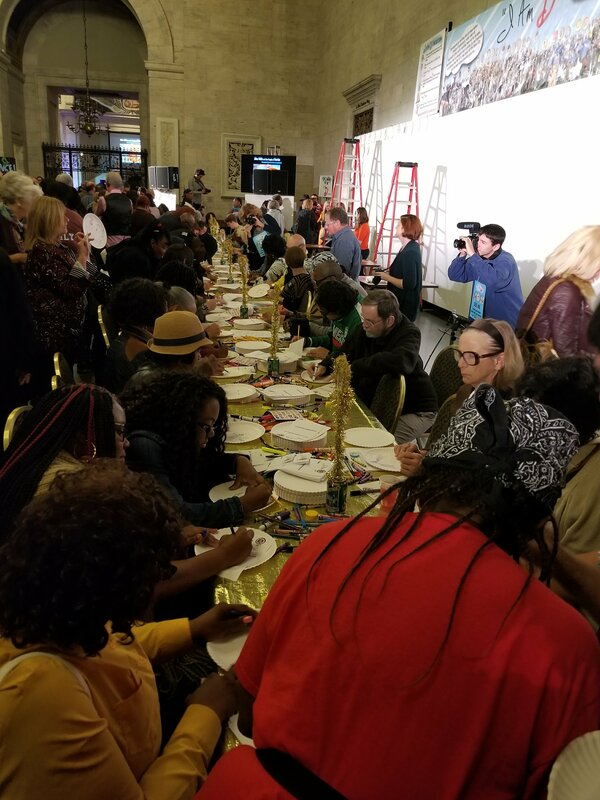 The event, and the video for the song, embraced a vibrant, musical Detroit, and her recognition and love for Detroiters – all of us – is significant and heartening. 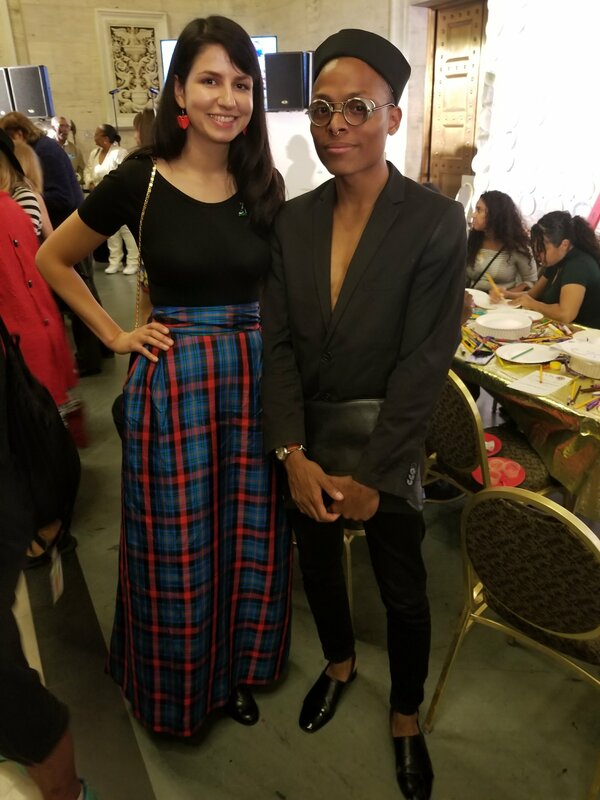 Many at the event expressed their astonishment at her acknowledgement of us, and I daresay that this may be a nodal point in Detroit events, a kind of before and after against which other events will be compared. The fact that this party took place during the same time as the spectacular Eastern Market After Dark Festival, a mile away – and both were spectacularly attended – is a testament to the dynamic life in this city, for events are important litmus tests for our social existence here in Detroit, as we carve out a new city from the old one. Emily Gail (of “Say Nice Things About Detroit” fame) takes pics of the crayon self-portraits made by the guests…. Allee, with her love of the city and its people, personifies the real Spirit of Detroit, and is the very definition of “giving back.” She is an artist, but her real art is not only the writing of songs, but the composing of notes of humanity into symphonies of silliness, connection, and musicality. Allen’s filmmaker and model Tim. May she continue to be blessed with the desire to champion this city, and btw, the song – “The D” – isn’t some new, corny Hello Detroit, kinda song – it is a JAM – and the video, kaleidoscopic and crazy, featuring all 5,000 participants, is amazing. I can’t wait to hear the beat remix. Judge Craig Strong, a star of “The D,” having shown up for several sing-a-longs in the filming of the video..He’s known for his sartorial flair.